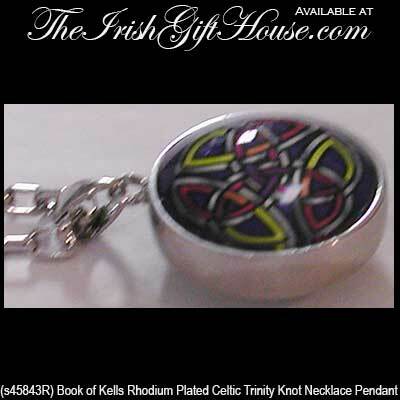 The Trinity knot design on this Celtic necklace is from the Book of Kells. 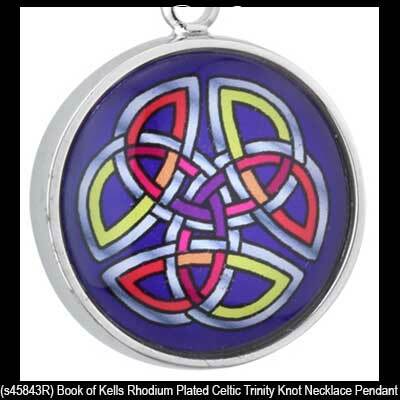 This double sided Book of Kells necklace features an enameled Trinity knot design on the front and the Book of Kells logo on the reverse side. 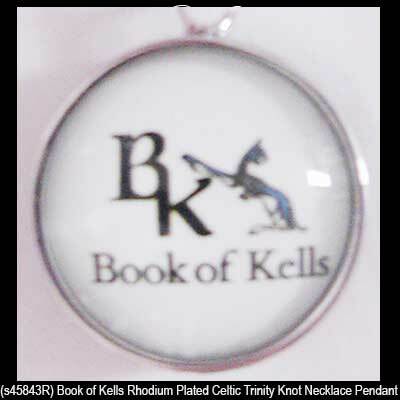 The rhodium plated Book of Kells pendant measures 3/8" thick x 3/4” wide x 1 1/4" tall, including the jump ring and the chain bail, and includes a 20” long, heavy weight, rhodium plated chain with a lobster claw clasp and a 2 1/2" extender chain with a tiny Book of Kells tassel. 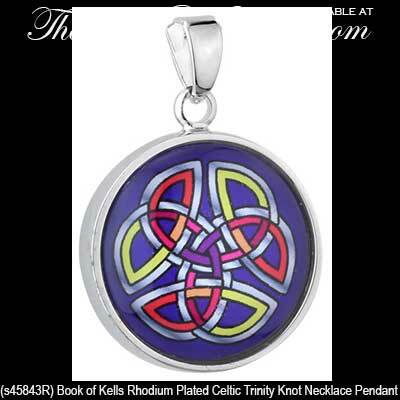 This Trinity necklace is gift boxed with the Celtic knot history and is crafted under license by Solvar Jewelry, Dublin, Ireland.